The veterinary nursing profession, though numerically small (there are over 12,000 registered veterinary nurses in total), has varied and important duties to support veterinary surgeons in safeguarding the health and welfare of animals. There are careers opportunities in a number of areas as outlined below. Registered veterinary nurses (RVNs) work within a veterinary surgery or veterinary hospital and are involved in a wide range of care and treatment of animals. RVNs are responsible for providing expert nursing care for sick animals as well as undertaking minor surgery, monitoring anaesthesia, medical treatments and diagnostic tests under veterinary direction. Many veterinary nurses working in practice choose to further their knowledge and skills by studying for additional qualifications, such as the RCVS Diploma in Advanced Veterinary Nursing, and it is a requirement that all veterinary nurses keep their skills and knowledge up to date throughout their careers. Many RVNs elect to follow a career in education and become college lecturers and tutors using their knowledge and skills to teach, inspire and innovate the next generation of veterinary nurses. 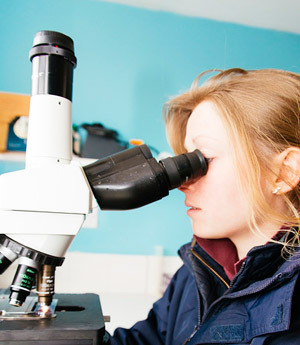 The veterinary nursing taught programme includes a balance of teaching and learning strategies, designed to help students develop knowledge, understanding and effective clinical skills. Course lecturers and tutors (assessors and moderators) will need to hold appropriate educational qualifications which can be undertaken whilst teaching/lecturing. Many opportunities exist within practice for those who have good management and leadership skills. The ability to plan, problem solve and communicate are important attributes in both these roles. The Veterinary Practice Management Association (VPMA) can also provide more information.